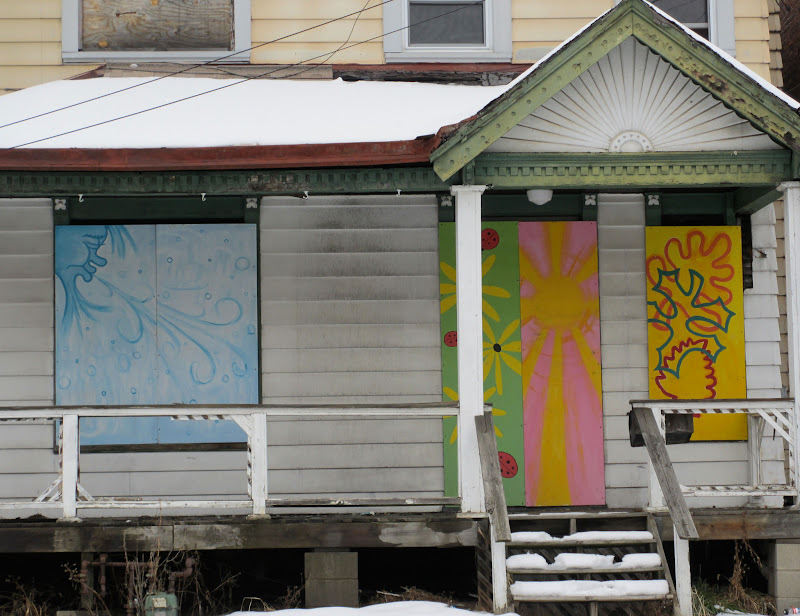 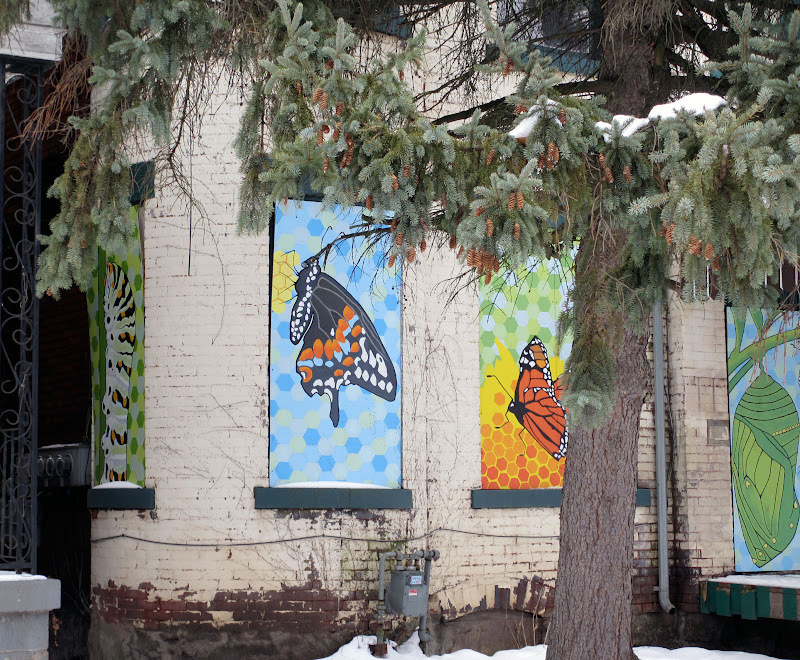 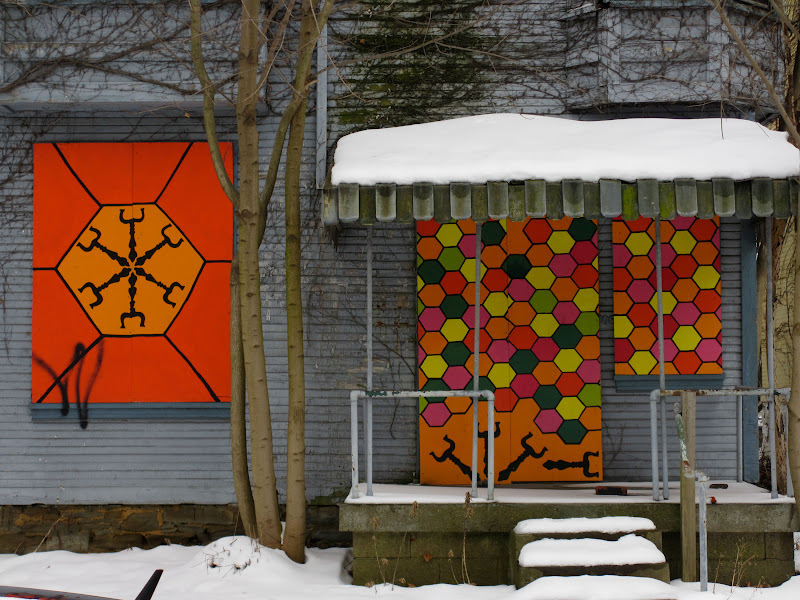 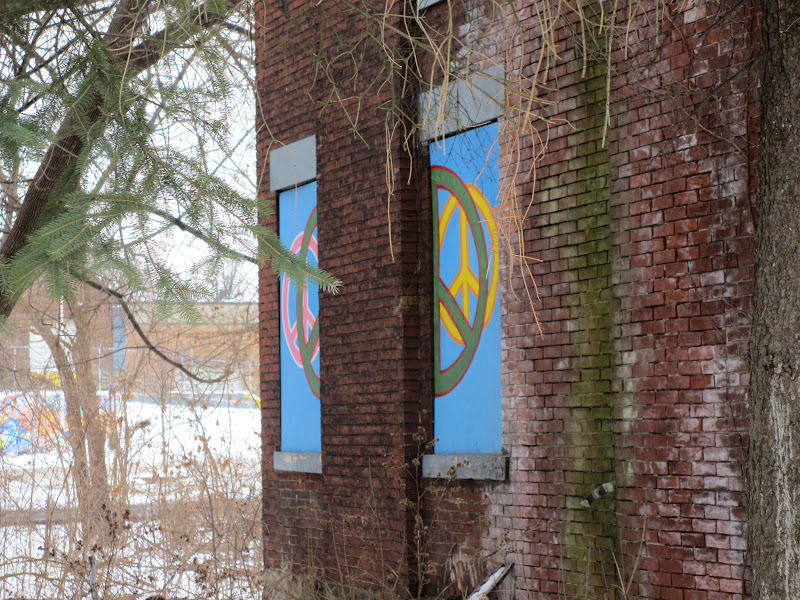 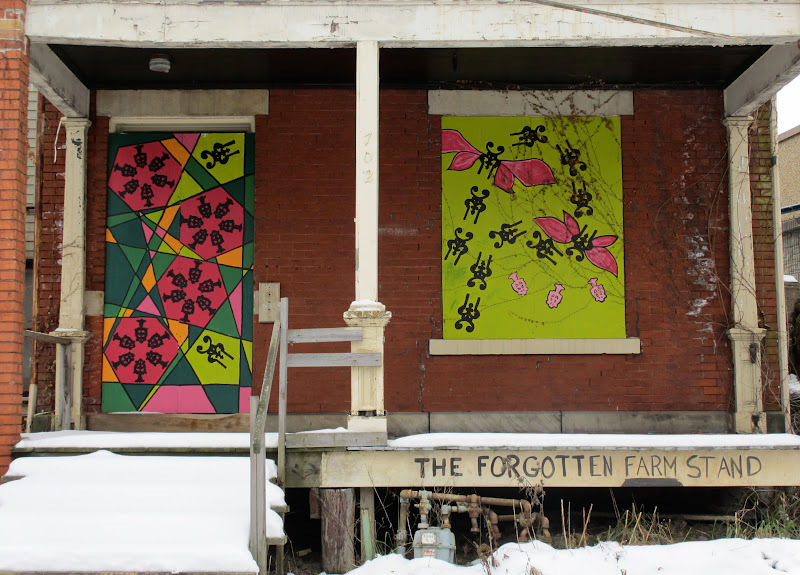 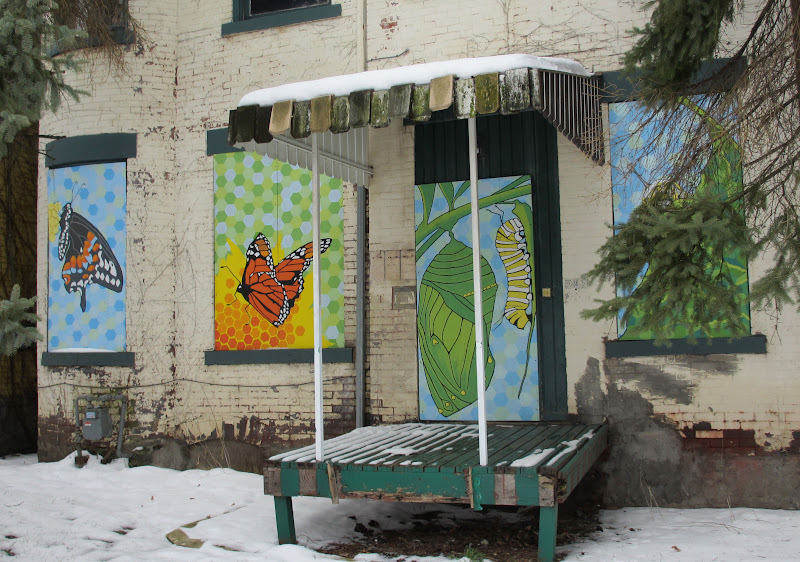 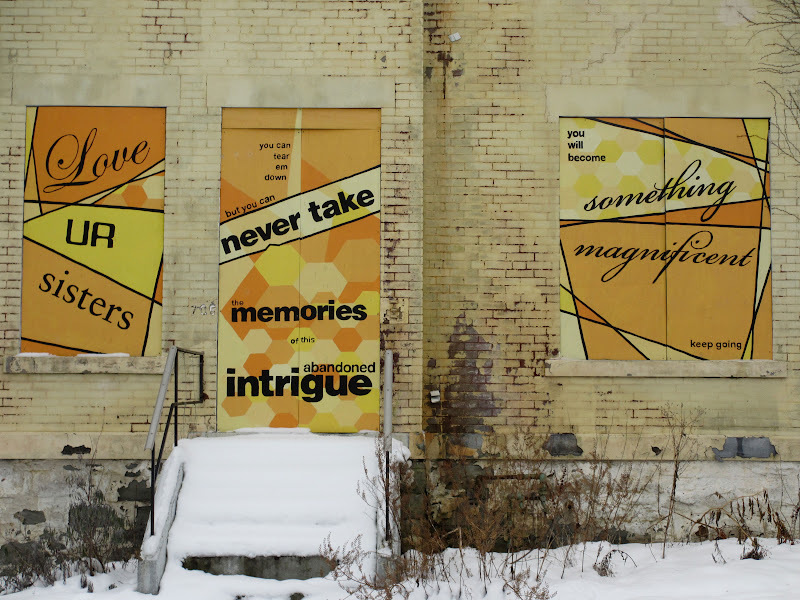 The Whitney Avenue Art Gallery "Houses in Waiting" program was begun by Lazae LaSpina in 2010 as an effort to spruce up abandoned properties in a Wilkinsburg neighborhood. 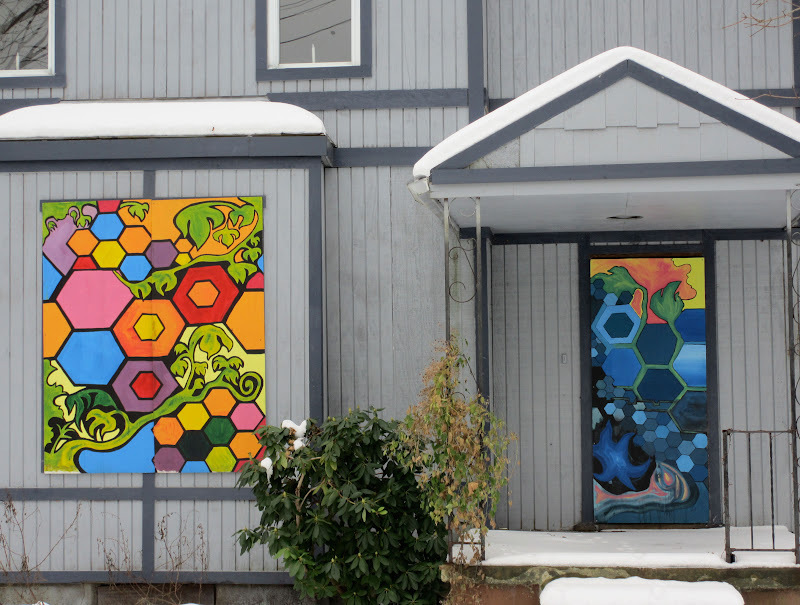 Professional artists work with neighborhood youths and adult groups to paint what inspires them on the boards that cover windows on these houses. 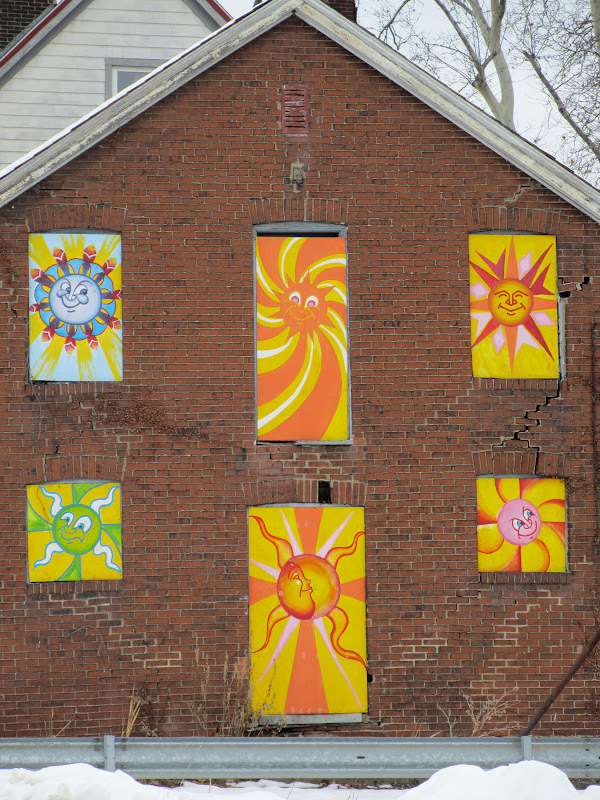 What a difference the art makes! 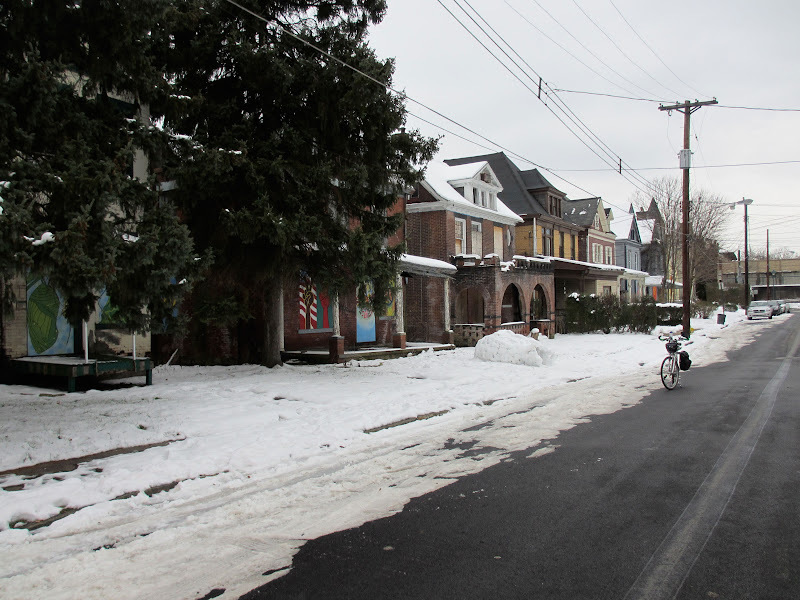 What is essentially a street filled with sad, abandoned, deteriorated houses doesn't feel so abandoned or derelict anymore. 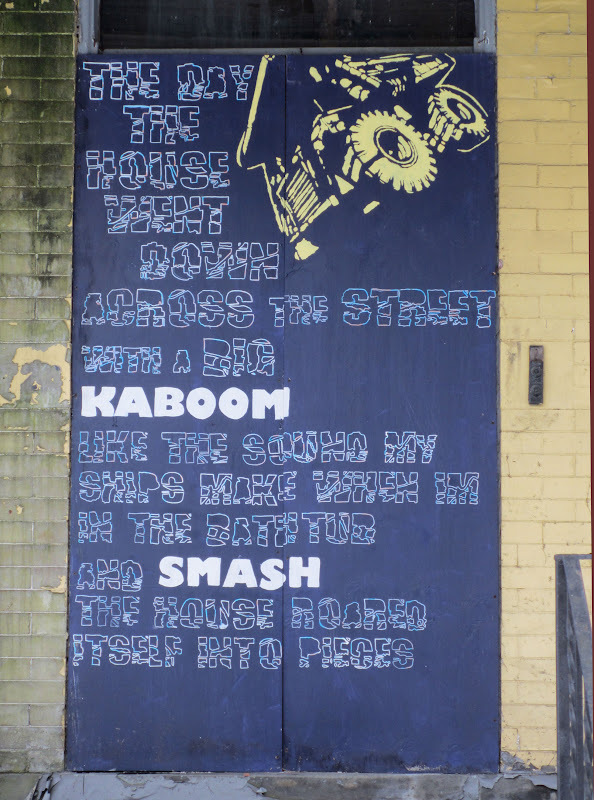 It is window dressing in the true definition of the word, but it does make an emotional difference in how you feel when you ride down this street. 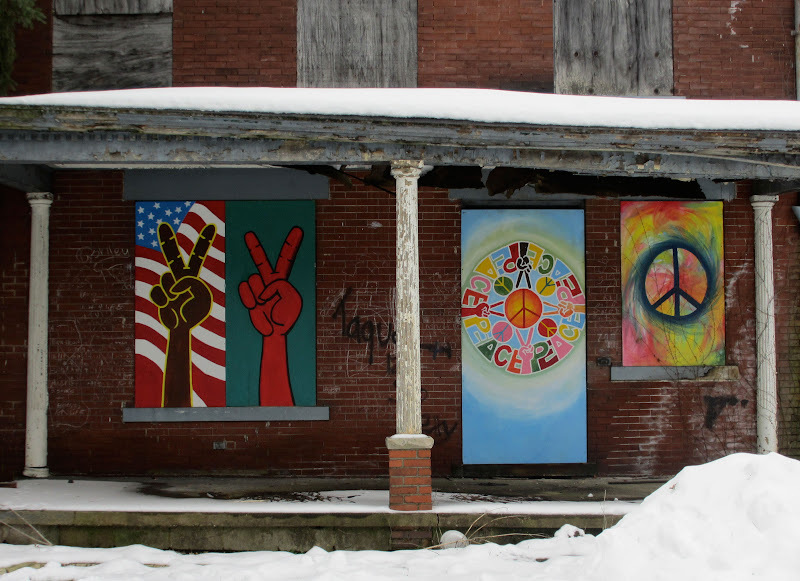 For more information see the article from the Post Gazette and the Whitney Avenue Art Gallery website.